How could I say no to a glass of one my favourite beverages? 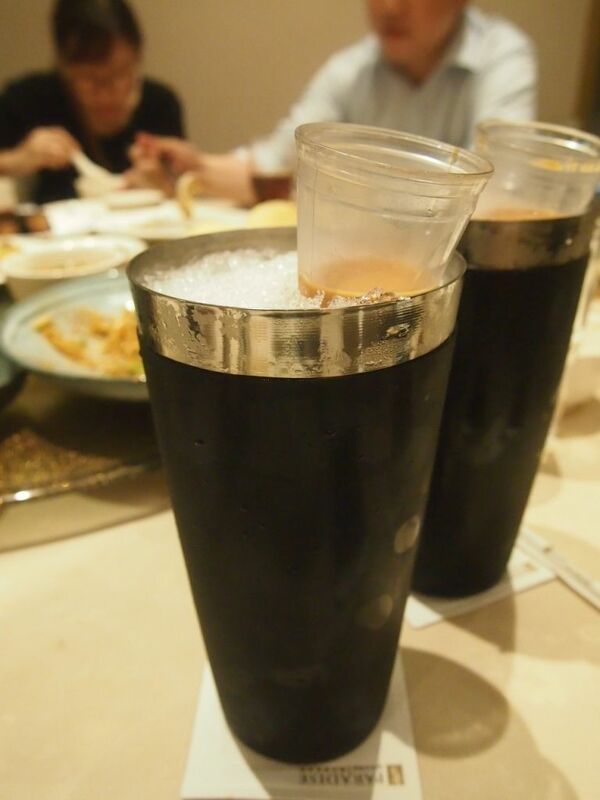 The Cold Milk Tea($4) is served in a glass jug submerged in crushed ice. This is to ensure that the milk tea is cold, without diluting it. I found this dedication to quality especially impressive. 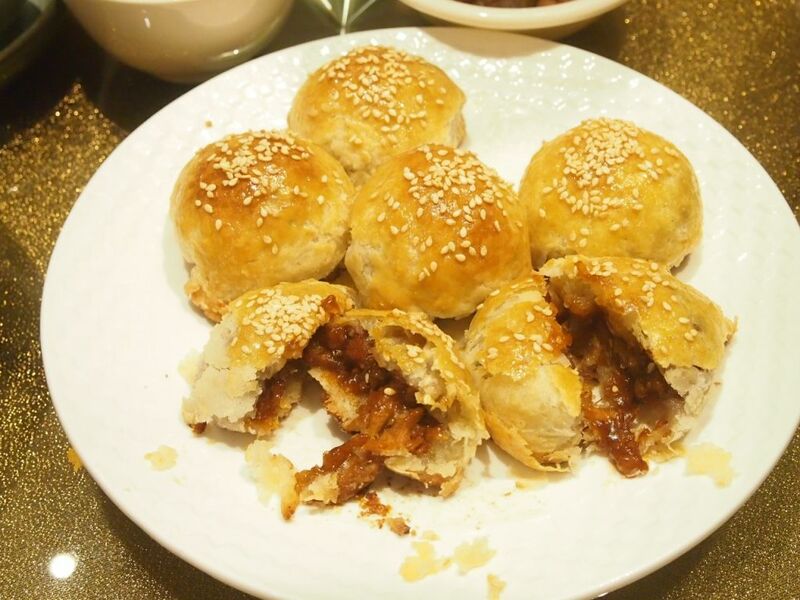 First up, Baked BBQ Pork Pastry($6.80/3pieces). The meal started on a high as these char siew sou were impeccable. 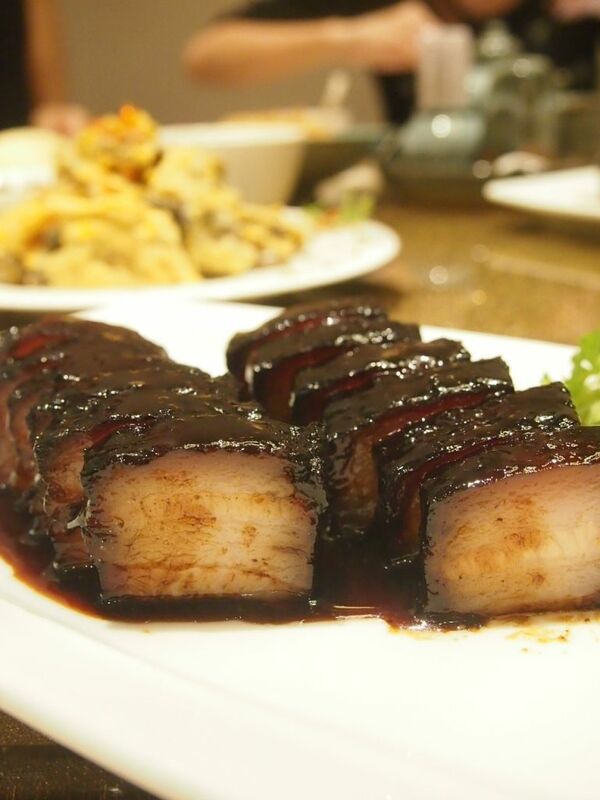 The flaky crust crumbles as you sink your teeth into it, giving way to a core of sweet char siew. The crust to filling ration was perfect and this might just be my favourite char siew sou yet. I usually avoid this popular dimsum item because I always meet thick, hard and dry crust with minimal filling but this was the complete opposite. Ace! 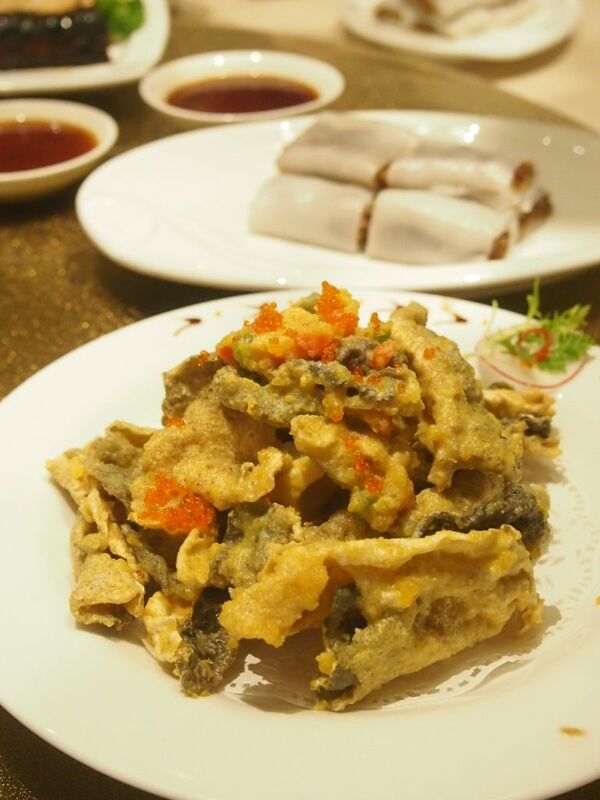 Crisp-Fried Fish Skin With Salted Egg Yolk($9.80) is always a hot favourite and the rendition at Canton Paradise is exceptionally tasty. Both the fish skin and batter that it's coated in have the right thickness, are crunchy, and are armed with a strong taste of salted egg yolk. The tobiko was just the icing on the cake. Just look at how perfect the congee looks. The Handmade Meatball Congee($9.80) was so smooth. Despite being someone who's not a big fan of porridges or congees (because they're always so hot and I have to wait to dig in), I couldn't help but fall in love with this bowl of comforting goodness. 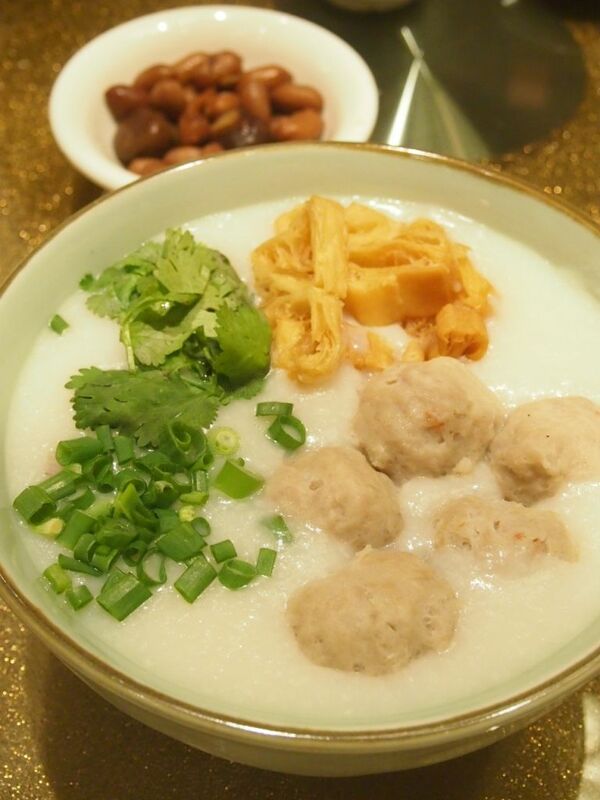 The meatballs are huge and firm and but the real star is the congee. A luxurious place of tender BBQ Pork Belly with Honey Sauce($22.80) that tasted pretty good, though I would have preferred it to be fattier. For $22.80, the char siew is good but I think I have tasted better elsewhere, for this price. 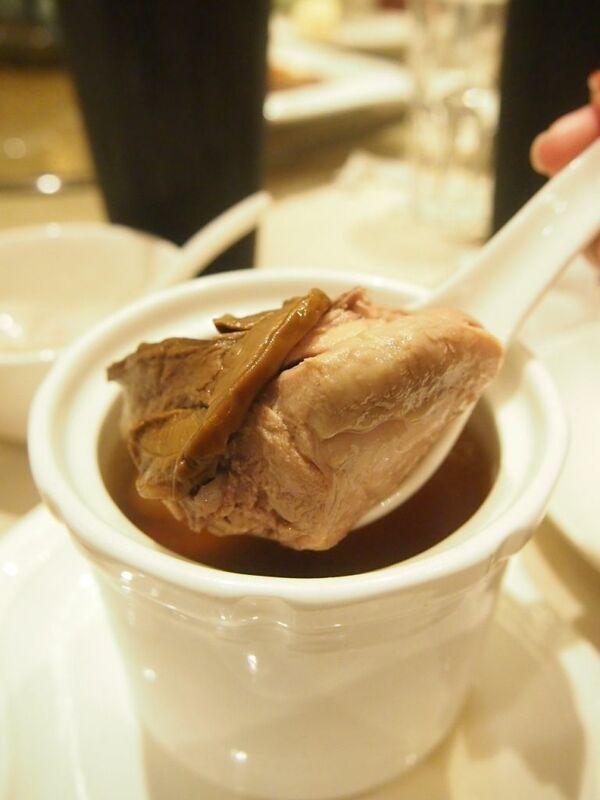 Exclusive to this outlet, the Double-boiled Superior Chicken Soup ($14.80) warmed my soul. As mentioned earlier, I'm not big on hot food that requires some waiting time before they can be comsumed. So, I wasn't very excited about the soup. It also does look pretty plain and mediocre. However, the very first taste already got me hooked. The soup was light, but really tasty. There is a depth of flavours that can only be the result of hours of boiling. I then learnt that the soup which comprises kampong chicken thigh is boiled for 7 to 8 hours. There's also penny mushroom, a premium ingredient, in the soup! A must-try is the Dried Sakura Shrimps with Scallion Oil Tofu ($13.80), which is exclusive to this outlet too. 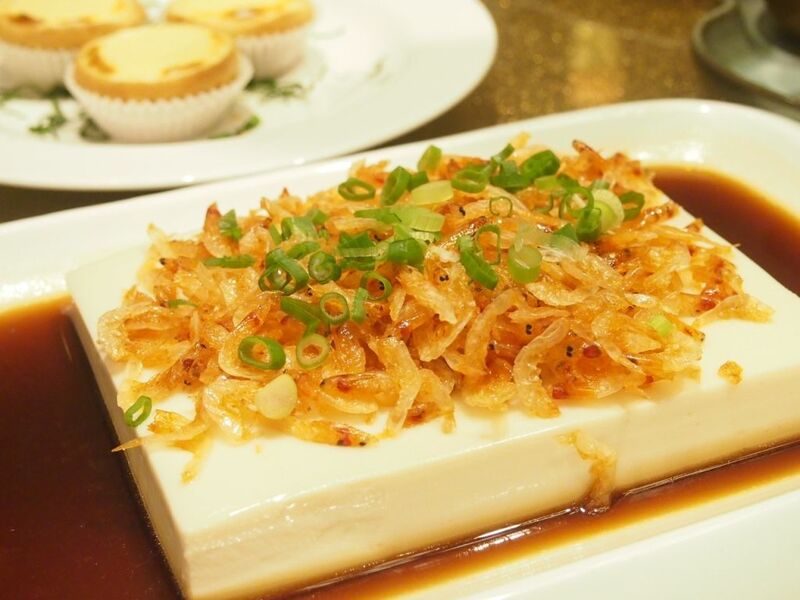 The silky smooth tofu is prepared using mineral water and topped with crispy sakura shrimps imported from Japan. It's simple, but nonetheless, delicious. Forget the cheese tarts out there. This is the real deal. 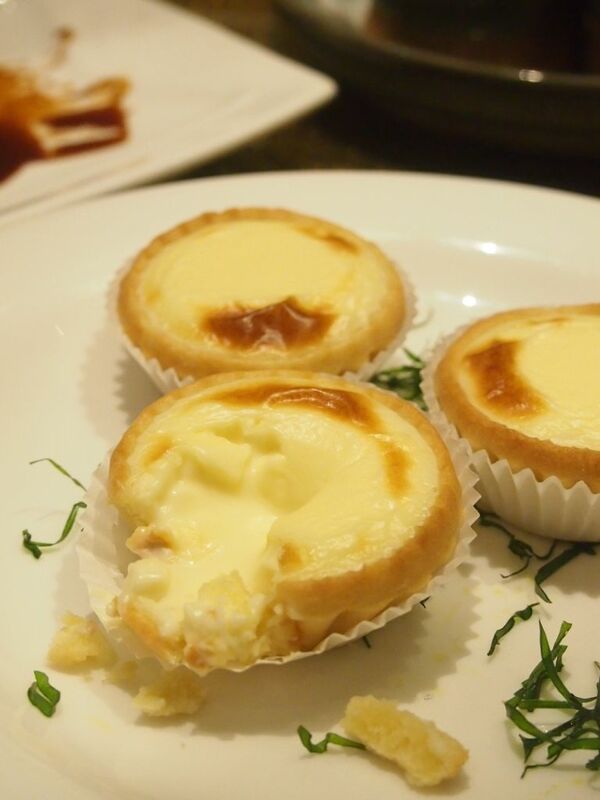 The Baked Cheese Tart ($6.80/3pieces) has a rich molten core of creamy hot cheese. For a non-cheese fan to declare this her favourite cheese tart to date, this definitely says something, right? I also adored the crust that had just the right thickness and hardness. Brilliant, brilliant. So you can't afford the luxury handbags at MBS? Here's three exclusive handbags that will please both your tummies and wallets. 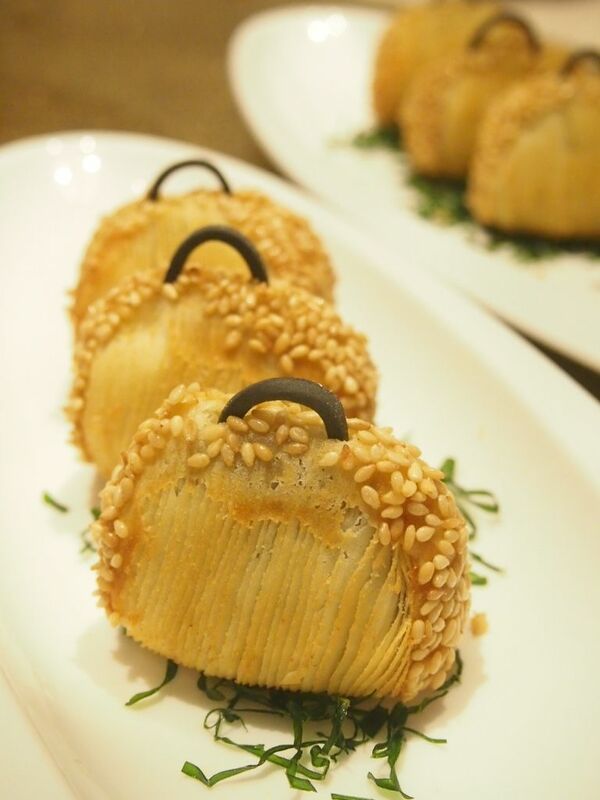 Sweet red bean paste is encased within a puff pastry studded with sesame seeds. Expect a generous portion of red bean paste! Do you love durian like I do? 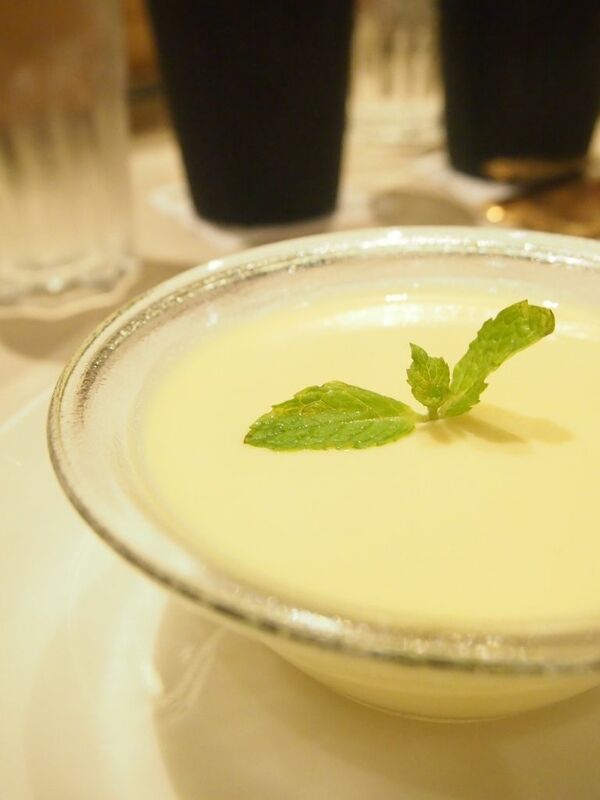 If yes, you might wanna try the Durian Pudding($5.60). 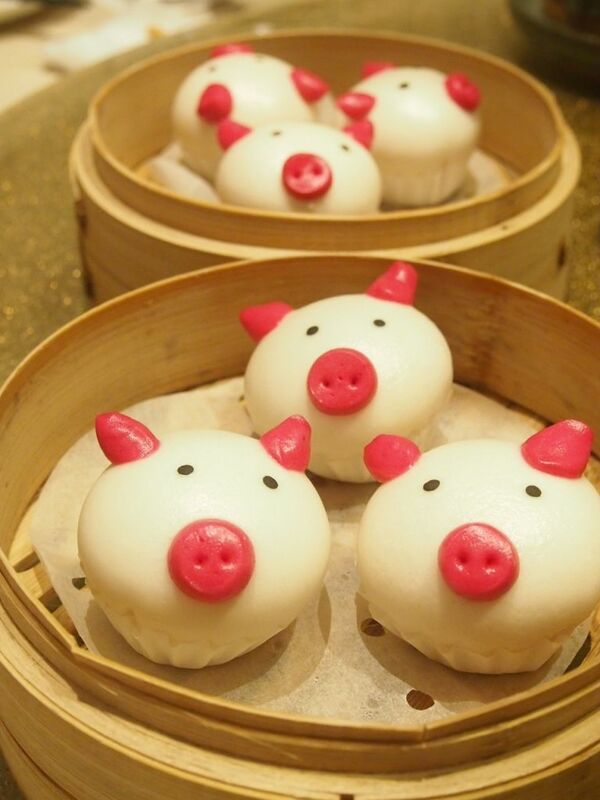 Canton Paradise's 50% off Yum Cha promotion is back! Diners can enjoy all dim sum, congee & Selected noodles at half price when they dine in at any of the six Canton Paradise outlets on weekdays, from 3pm to 5pm. To be very frank, I wasn't expecting much from the food here, as it's a chain. I think I've dined at Canton Paradise only once, a long time ago. However, I've realised how much I've been missing out on. This was really a pretty good meal!